Why do I need GPS on? What effect does low connectivity have? What is the QR code for on some of your pumps? What happens if there’s no mobile phone signal? Is it safe to use a mobile phone on a forecourt? Will I be charged for using the Shell App? How do I set or change app permissions on my mobile? Why do you require so many permissions for the Shell app? Is there a way of using location services only when you use the app? How do you use my (GPS) location data? 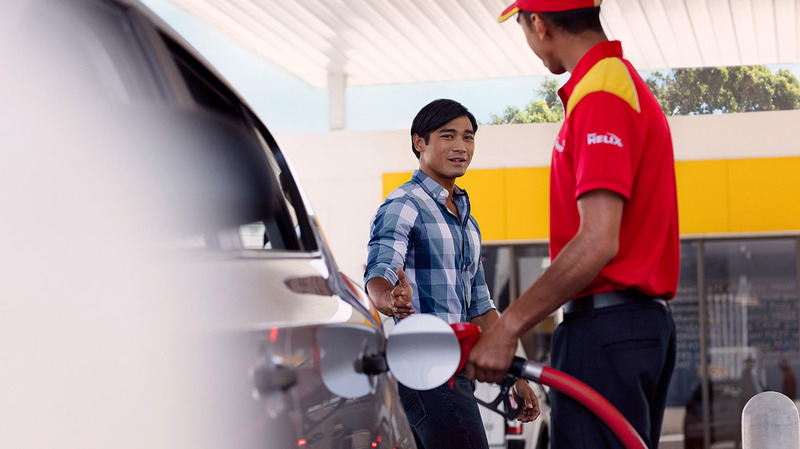 to use station locator so that we can show where your nearest Shell station is. to use Fill Up & Go so that we know when you are at a Shell station for you to enter the pump number and use the service. GPS means ‘Global Positioning System’ and it locates your exact position to precisely find a Shell station closest to you. Without GPS - the location icon on your device, finding your nearest station or planning your route won't be as accurate. 5. Check through the list of permissions – if they are grey they are not switched on. Make sure you slide Location settings to the right. They will turn from grey to blue. Tip: on Android: if the location icon is greyed out GPS will be off – if it’s shown in blue it’s on.